It’s dark, rainy, and gloomy here today. I used to swear up and down that I preferred rain to sunshine. I have no idea why - maybe it was true then, but it’s definitely not true now. I like a good rainstorm, especially in the summer, when they are quick and full of thunder, but in the winter when they last all day, make it so dark outside it seems like evening all day long, I don’t care for it at all. I crave sunshine and the warmth it brings along with it. Since there’s no chance of that today, I decided to create some sunshine of my own, in the form of this yummy citrus tart. 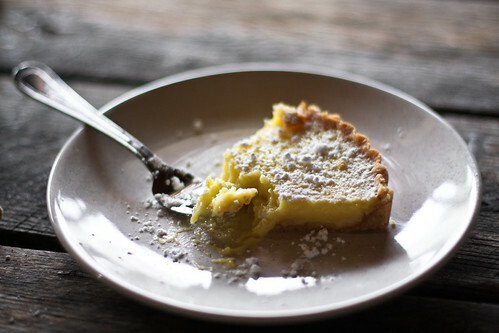 It has a delicious buttery shortbread crust and a tart but sweet lemon & lime curd-like filling. It’s brightened up my day, for sure. 1. Preheat oven to 350 degrees. 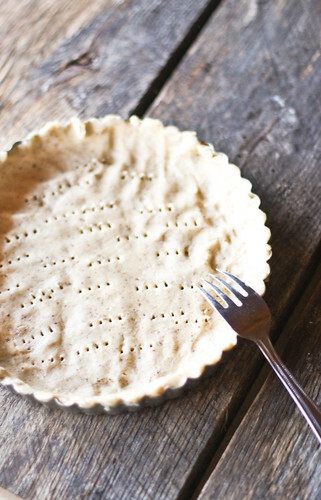 Make the crust: Butter an 11-inch fluted tart or quiche pan with a removable bottom (or use a pie plate). Whisk together flour and salt. Pulse almonds with confectioners' sugar in a food processor until finely ground. 2. Beat butter with a mixer on medium speed until pale and fluffy. Beat in almond-sugar mixture. Add yolk and flour mixture, and beat until combined. 3. Press dough evenly into bottom and up sides of prepared pan. Prick dough all over with a fork. Freeze for 20 minutes. 4. Bake crust for 10 minutes. Remove from oven. Press down bottom and up sides if needed. Bake until golden brown, about 13 minutes more (I pressed down the bottom and sides again). Transfer pan to a baking sheet, and let cool for 15 minutes. Reduce oven temperature to 300 degrees. 5. Make the filling: Beat eggs, granulated sugar, and salt with a mixer on medium-high speed until pale and fluffy. Add juices, zest, and cream, and beat until incorporated. Tap bowl on counter to release air bubbles. Pour into prepared crust. Bake until set, about 25 minutes. Let cool completely. Garnish with currants or raspberries and a dusting of confectioners' sugar. 6. Garnish just before serving. This looks fabulous! I have seen so many citrus recipes around lately. I have never really made any. I'd love to make a lemon or lime curd. hi Hannah! just discovered your GORGEOUS blog via Simple Song! AMAZING photos here! Stunning...As a resident lemon bar enthusiast and new owner of a proper tart pan, I can officially say I'm a sucker for the pucker of citrus here. This is on the weekend agenda. I've been an admire of your blog for some time now and thought it was time I finally commented. Your pictures are amazing, you have so much talent and such a wonderful eye. In addition, your recipes are always fun and delicious! Keep up the wonderful work!!! Julia M.
This looks so amazing! Do you think grapefruit could work as a substitution? I would reduce the sugar for sure but I wonder if it would still taste good. Looks delicious, Hannah. Sunshine in a dish! when i saw this on flickr i thought, ah a little taste of summer in the winter! so perfect, pretty and yummo! I love anything with citrus! This tart looks amazing! My mouth is watering! I can see so much sun in your photos even if it's probably rainy and gloomy outside! How do you do that? :) Your photos are always beautiful and positive! This lemon tart looks very yummy. Oooooh citrus season <3! Josh would LOVE this tart! As much as I love your header photograph with the honey jar and adorable tea cup! this looks absolutely positively delicious! This looks so good, I need to make something lemony! Anything to help bring in some sunshine these days! I just found your blog, and I may have to spend the rest of the night reading all of your posts. Everything looks delicious... and the pictures are beautiful! congrats! Looks fantastic! Absolutley LOVE Lemon tarts. Greats photos - you want to pick it up from the computer monitor. Yum, as soon as I saw your photo my jaw started to tingle. :) I love the tanginess of lemons. Beautiful. It looks just perfect. Simple as that. Looks delicious, Hannah! I've been craving lemons too lately- maybe it's to chase away these winter blues? As always, breathtaking photos! Can't wait to make this for my book club next week. That looks amazing. Seriously amazing. I'm pretty sure I could eat 1/4 of that tart for breakfast right here, right now. Bookmarked! thanks so much for this inspiration! I linked you to my blog... hope it tastes as good as it looks! trying it this weekend! Nothing like citrus to make you feel all sunshiny inside! This is a super recipe, kind of tangy, not overly sweet. You made a lovely tart, pretty and delicious. This is so beautiful! Definitely no sun shine here either. It's been on again off again rainy/snowy/overcast and just general BLAH! A slice of this would certainly send the blas away. 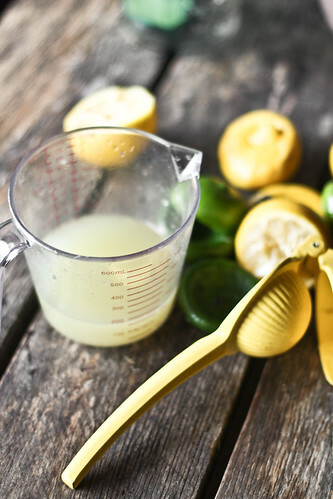 I love the idea of using both lemon and lime juice in there. And almonds in the crust? Yum! yes...nothing brightens a mucky day quite like a massive burst of citrus. gorgeous tart, hannah! hi, i'm kristi and i just stumbled upon your blog. i went through all your previous posts, and was so inspired by your baking and photography. I always get inspired when I visit your blog. You do an amazing job. MMmmm! Doesn't THAT look yummy?! Looks delicious! and can I just say that whenever I am feeling unmotivated and too lazy to pick up my camera, I pop on your site and suddenly, I am inspired! Beautiful work! This Tart looks wonderful! Just what I need to bring on a little sunshine! What a lovely blog you have! I'm going to enjoy poking around. What a perfect post for National Pie Day! 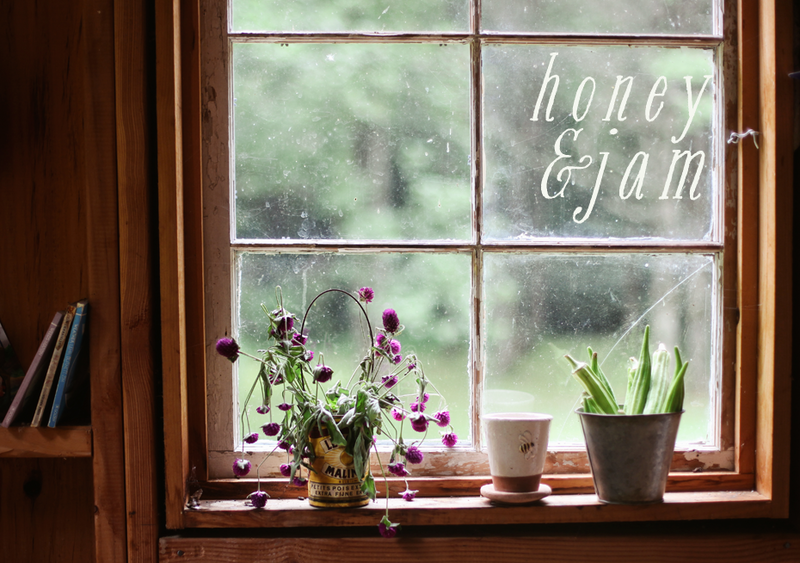 I love how your blog blends baking and photography b/c that is part of what my blog is too! Your photos are just gorgeous and make the food look sooo yummy!! That last picture is just pure perfection! But then again, most of your photos are! The tart looks unbelievable yummy. Yum! I haven't done much baking with citrus, but it is that time of year. Thanks for the inspiration. Oh I MUST try and make this. Love citrus. Your photography is gorgeous. Wow! That looks so light and delicious! Oh, dear. 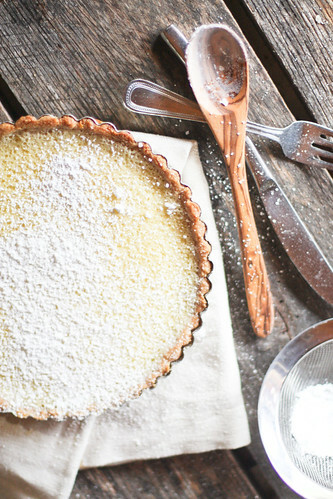 Now I reeeeally want a tart pan! Yum yum yum! Your photos are lovely. It's so beautiful + looks incredible! I just checked out fields and woods.. delightful! You have quite the eye for beauty! Xo. oh, my. this looks good! i am in love with your banner! OK, mine was good, but definitely not as pretty as yours! thanks again for the inspiration! That's such a beautiful tart! I love the mix of citrus. I've been thinking of trying a tart like this with just orange or tangerine--have you ever gone there? Yum, this came out just how I was hoping it would--just the kick of sunshine we needed in the dead of winter. Thanks for posting! 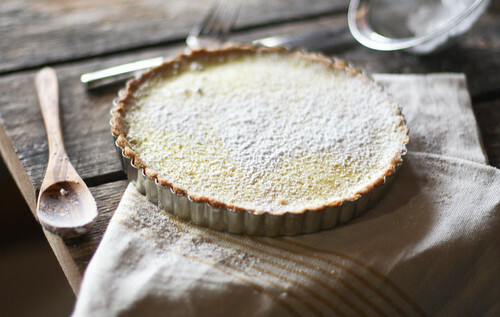 Gorgeous lemon tart! And so are the photos. You are very talented! The only thing yummier than the tart itself are your pictures!! ....and the ohoney pot in your banner photo - that jar - where did you get it... I love those shapes... great photos. Looks absolutely scrumptious. I really cant stop watching this citrus cake based on images, they look so tasty, I cant wait to see it but at home, is incredibly delicious to be eaten promptly. I have been reading your posts regularly. I need to say that you are doing a fantastic job. Please keep up the great work." Food is my weakness and love eating a lot. 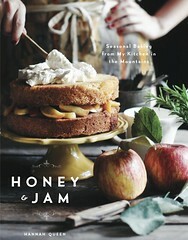 Love honey and Jam.. this recipe i would like to try. reading such innovative and cool recipes was delight. I like the way this blog takes care of different kind of audience. Loved this recipe, Im not a big baker and gave it a go and it turned out awesome very happy and would definitely make this again search engine optimization service. What the best publish for Nationwide Pie Day! I really like how your site mixes preparing your receipee and pictures b/c that is element of what my site is too! Your images are just magnificent and create the meals look so yummy! delicious cake thanks for the recipe! Yum! Group, this is I hope it will - it's just that we need to play the sunshine in the dead of winter. Thank you for your post! Awesome web log. I enjoyed reading your articles. this can be actually a good browse on behalf of me. I actually have bookmarked it and that i am trying forward to reading new articles.Keep up the nice work! Good post. Thank you for this information. I will recommend it to all my friends.